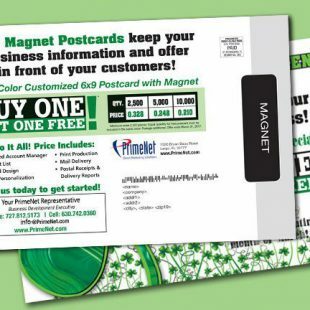 Save some GREEN and attract attention to your HVAC business! 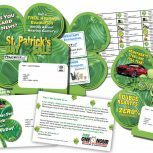 St Partick’s Day postcards are a great way to keep your name in front of your customers and customers-to-be. 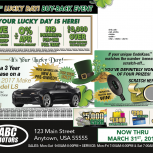 The whole month of March, is a great time to get your Paddy’s day and Spring campaigns going! 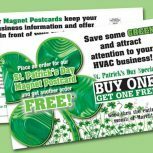 Why Advertise my HVAC Business Especially for St. Patrick’s Day? 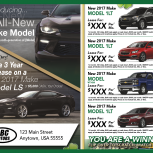 Holidays and days of recognition present wonderful opportunities to advertise your business because your customers will be LOOKING for deals! We know from experience that people who are already looking out for holiday specials are those who are ready to give you their business. 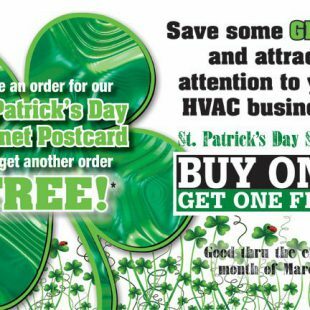 Specific to your HVAC industry, St. Patrick’s Day is near the transition to SPRING, and what better time to advertise your Springtime Specials than to kick off with holiday deals!